Designer Alvar Aalto became famous with impressive architecture and innovative furniture designs. While doing so, Aalto also made a number of wonderful textile designs, such as the black and white Siena pattern that now embellishes many living accessories and textile designs in the ABC Collection by Artek. The pattern was designed by Alvar Aalto in 1954 when he wanted to create a print to be used for different textiles and purposes. The Siena print was thus already used for curtains, blankets and tea towels. The ABC Collection expands the assortment with accessories and home textiles such as pillowcases, napkins, coasters and bags. More than twenty different items are part of the versatile Siena Collection. The Siena canvas bag by Artek is made of durable cotton canvas and can be cleaned in the washing machine whenever it gets dirty. 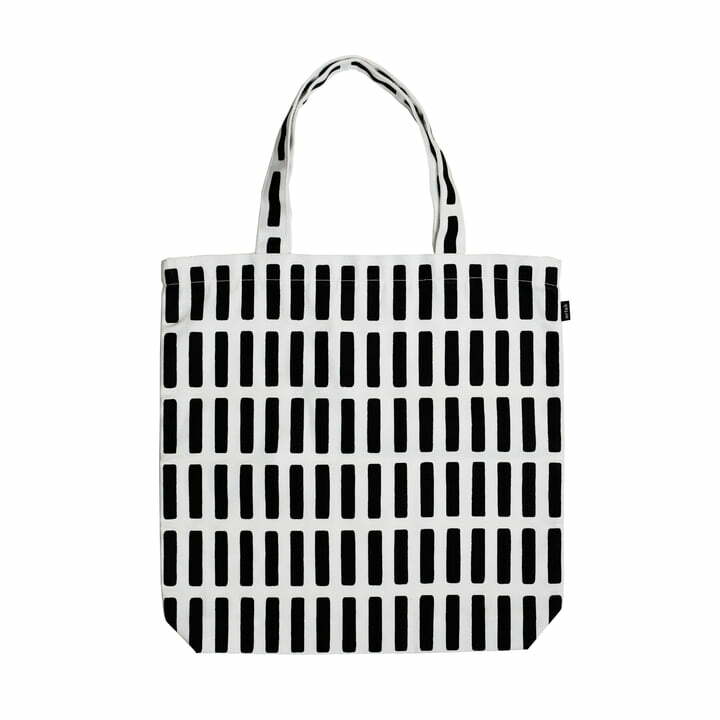 The black and white pattern of the bag is wonderfully timeless, making the bag an ideal companion and easy to combine thanks to the simple design. Find further textiles with the Siena print in the ABC Collection by Artek.